Since the last Shrek movie, nearly a decade will have past by the time Shrek 5 hits theaters, and that's okay with everyone involved, from the filmmakers to the fans. 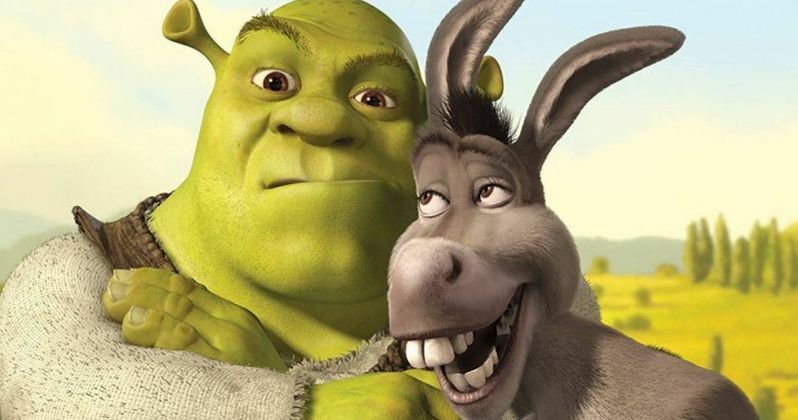 Shrek Forever After felt a little tired, and it was clear that DreamWorks Animation needed to take a break from the adventures of this Ogre and his talking donkey. But the next sequel is starting to heat up, and it appears that the script for Shrek 5 is done. Eddie Murphy has recently been making the press rounds for his upcoming dramatic turn in Mr. Church, and several sites asked the comedian whether or not he'd be returning as Donkey in Shrek 5. There had been some rumors that he was done with this animation franchise. But apparently that's not the case. Speaking with Cinema Blend, Murphy confined that the script for Shrek 5 is done, it's good, and it should be on screen by 2020 at the latest. He also seems to indicate that he is returning to voice the rambunctious Donkey. This lines up with previous reports that DreamWorks Animation was planning to release the movie in 2019, and pre-production is apparently well underway. Though, no one is sure whether or not this would be a true sequel or a 'reboot'. With Eddie Murphy planning to reprise his roles Donkey, this might be a combination of both. It is expected that Mike Myers will also return as Shrek and that Cameron Diaz will once again play Fiona. But that hasn't been confirmed by the studio. Speaking with Collider, Murphy went onto talk about the ever-lasting appeal of the Shrek movies. When the Shrek cast will return to the audio booth to record their voices for this 'rebootquel' as they are sometimes called is anyone's guess. At this time, all story details are being kept under wraps. But the movie will likely bring in some contemporary co-stars just to keep everything fresh, and we're sure to see some never before utilized fairy tale characters. Will Shrek and Donkey be thrust into one cold winter as brought on by Elsa and Anna of Frozen fame? Don't put it past this comedy franchise, which likes to poke fun at current movie trends.